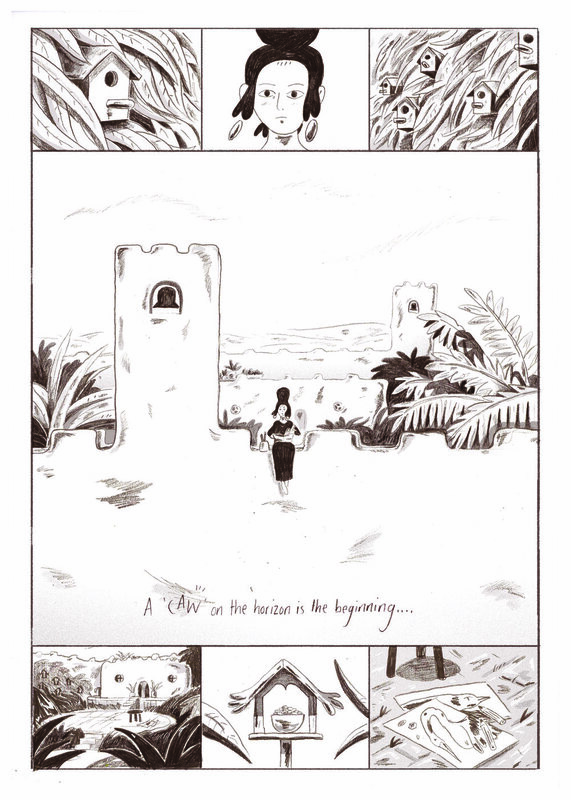 'A Place for Birds' is a comic that debuted at ELCAF 2018. It tells the story of an artist living in a desert home, waiting for migrating birds to pass over and take a rest from their journey. Here are some preview pages. This is available to buy in my shop!